Peru might be better known for its mountains and llamas, but it’s also home to myriad culinary delights. In this recipe, we’re taking a cue from the country’s papa a la huancaína—that’s potatoes smothered in a slightly spicy citrus-spiked cheese sauce. 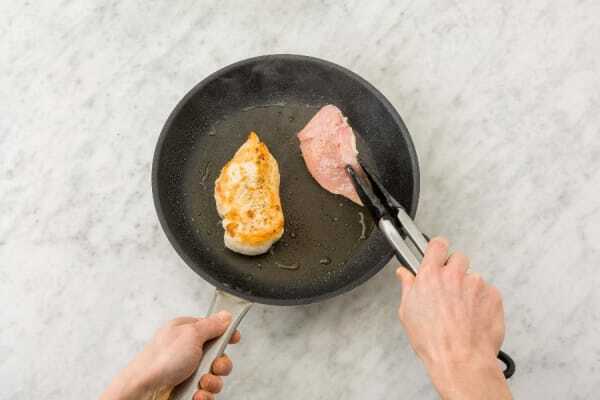 Served alongside garlic-coated chicken and roasted broccoli, it feels comfortingly familiar, regardless of whether you’ve been to South America or not. Wash and dry all produce. Preheat oven to 400 degrees. 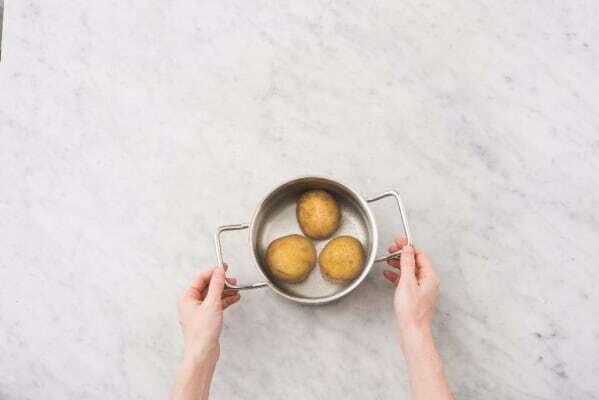 Place potatoes in a medium pot with a pinch of salt and enough water to cover by 1 inch. Bring to a boil and cook until easily pierced by a knife, 25-30 minutes. Drain and set aside to cool. 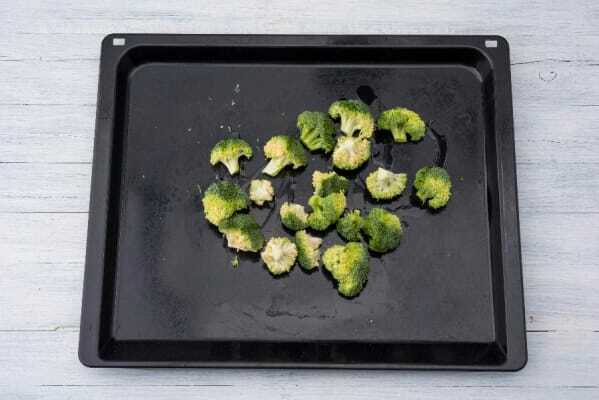 Toss broccoli on a baking sheet with a drizzle of olive oil. Season with salt and pepper. Roast in oven until lightly browned and crisp, 15-20 minutes, tossing halfway through. Meanwhile, mince chives. Mince or grate garlic. Zest lime until you have ½ tsp zest, then cut into halves. Mince jalapeño, removing seeds and ribs for less heat. TIP: Don’t forget to wash your knife, cutting board, and hands after handling the jalapeño to avoid getting heat anywhere you don’t want it. 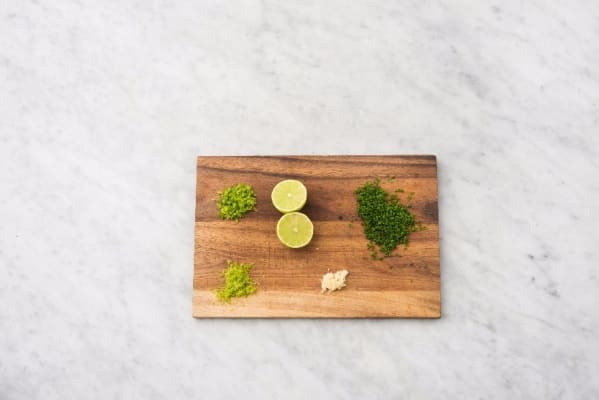 Toss garlic, jalapeño, a pinch of salt, and a drizzle of olive oil into a pile on your cutting board. Mash into a paste, scraping it under the side of your knife while pressing down. 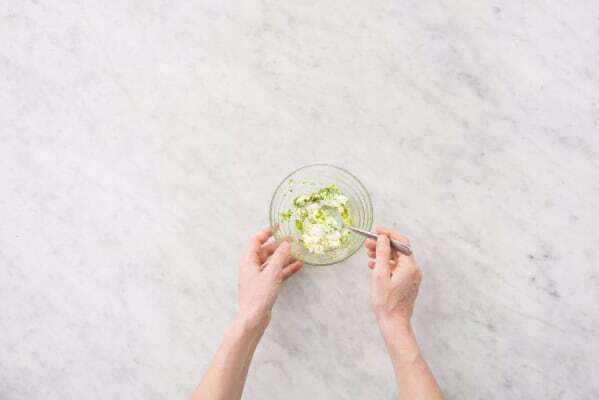 Add to a small bowl along with cream cheese, lime zest, juice from lime, half the chives, and 1 TBSP olive oil. Stir to combine. Stir in water 1 tsp at a time until mixture is drizzly. Season with salt and pepper. Heat a drizzle of olive oil in a large pan over medium-high heat. Season chicken all over with garlic powder, salt, and pepper. Add to pan and cook until no longer pink in center, 5-6 minutes per side. Let rest a few minutes, then thinly slice. Cut potatoes into ¼-inch-thick slices once cool enough to handle. 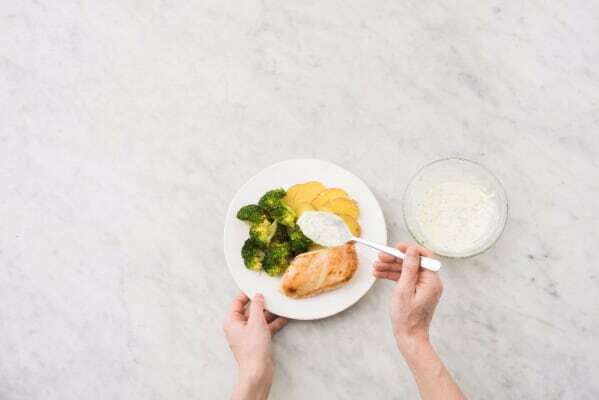 Divide potatoes, broccoli, and chicken between plates. 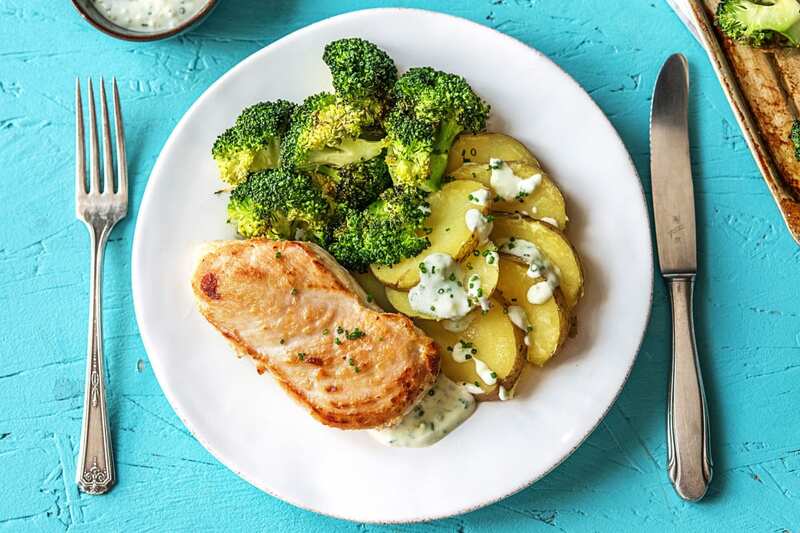 Drizzle sauce over potatoes and sprinkle with remaining chives.